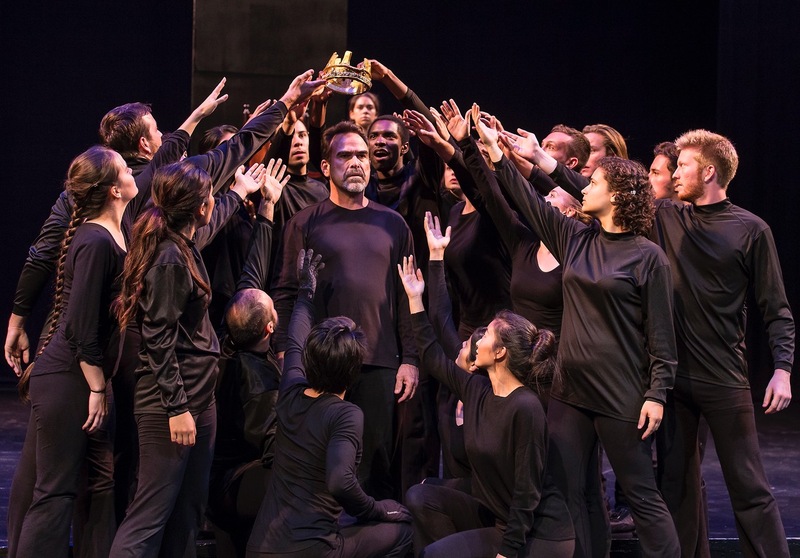 While it’s no substitute for the full-length piece, Seize the Crownnevertheless delivers an exciting “greatest hits” style approach to the history plays and makes a great introduction not only to the material, but also to the vivid and moving approach that characterizes all Naked Shakes productions. Steven Armstrong is a wonderful Prince Hal, and Jason Bowe makes the challenging task of playing both Henry Bolingbroke and Falstaff look not only easy but fun. Taylor Tuers makes a hilarious and devilishly clever turn out of Princess Katherine of France’s famous dialogue with Henry V, and Oliver Rubey is as crafty and loathsome a Richard III as anyone could ask for. Let’s hope that the interest aroused by the trailer leads to a remounting of the long version soon.